I remember fondly when the word phablet became a thing...though I wish I didn't have to ever think about it. In fact, I had almost forgotten that it was a thing...until Lenovo announced the PHAB Plus, its entry into the huge phone game. Here's the deal: it's got a 6.8-inch display, a Qualcomm Snapdragon 615, 2GB of RAM, and 13MP/5MP cameras. Like its outdated specs, it's also running Android 5.0 - perfect for those who want to re-live late 2014 all over again. Ah, the memories. But I digress. The PHAB Plus is designed for one-handed use, thanks to a variety of gestures and whatnot. The usable area can also be downsized so you can reach everything with those super-short thumbs of yours. Silly humans, we're not properly designed for the new generation of phones. I need thumb extensions. There's also a "base model" of sorts - it's called PHAB - but it's actually bigger. The display is 6.98-inches. Other specs are worse, though: 1GB of RAM and some unnamed octa-core Snapdragon. If you're into it, the PHAB Plus will set you back $299, and the PHAB $179. They'll both be available in "select countries" in September. So, sometime this month. BERLIN--(BUSINESS WIRE)--Global technology leader Lenovo (HKSE: 0992)(PINK SHEETS: LNVGY), today unveiled the latest evolution in mobile devices, the Lenovo PHAB Plus, a beautifully designed premium phablet, optimized for single-hand use. Targeted at today’s millennials, the Lenovo PHAB Plus promises to eliminate the dilemma of choosing between costly smartphones with big screens and underwhelming small tablets by offering a sweet-spot 6.8-inch device with best-in-class entertainment, speedy Internet, and all-day battery life. 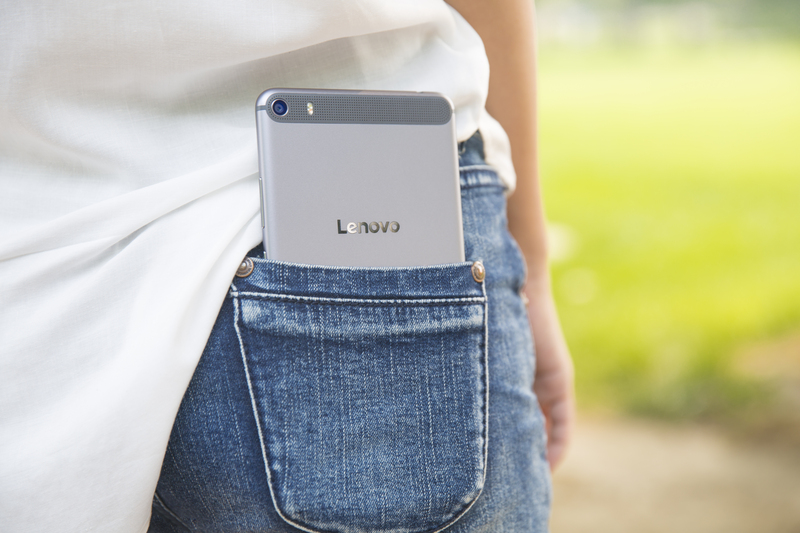 “With today’s tech-savvy millennial generation in mind, Lenovo is addressing the popularity of larger-screen personal devices, while acknowledging the portability struggles associated with tablet computers. The new PHAB Plus conquers these boundaries, merging the fun of a tablet with the portability of a smartphone in a stylish metallic uni-body casing. Unlike other phablets on the market, the Lenovo PHAB Plus boasts a full HD display optimized for one-hand usage and provides an unrivaled viewing and sound experience, all within an attainable and very competitive US$299 price tag,” said Jeff Meredith, General Manager and Vice President, Tablet Business Unit, Lenovo. When was the last time you actually made a call with your phone? Calling actually ranks behind browsing the Internet, checking social networks, listening to music and playing games as preferred smartphone activities – blurring the distinction between phones and tablets. The Lenovo PHAB Plus is Lenovo’s response to the phablet market—combining the best of both smartphones and tablets in one very cool device. As a smartphone, the PHAB Plus addresses consumers’ 24/7 connectivity needs with its Dual SIM and 4G LTW fast connectivity, ensuring a reliable and fast connection whether at home or abroad. These features are all built upon an Android™ v5.0 (Lollipop) operating system foundation, providing enhanced performance for seamless networking. For capturing images and video, the PHAB Plus has 13 MP rear and 5 MP front cameras that ensure crisp images regardless of setting. The Panorama Selfie function and dual-LED flash help users take photos with more natural color and lifelike skin tones, perfect for sharing selfies, while the Low Light settings enable bright pictures to be taken even in dimly lit environments. Corporate users will enjoy the Smart Tool, which enables a photo of a presentation slide to be taken from any angle, and then adjusted and aligned for best results. Compatible with both left- and right-handed users, the PHAB Plus has been optimized for one-hand usability, making it more comfortable to hold and use the phablet. Users can double-tap to turn their screen on, long-press anywhere on the screen to take a photo, shake to lock, create a one-hand keyboard that shrinks and snaps to their hand position, and answer calls through a series of voice-activated prompts. The PHAB Plus also excels with its 3,500mAh battery, lending up to 24 hours of talk time and 20 days of standby time, courtesy of a built-in platform that limits the internal temperature of the device. 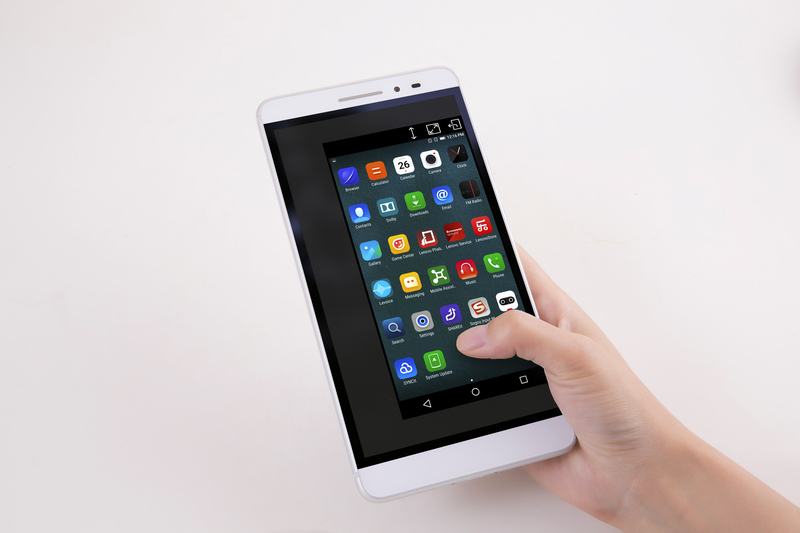 As an entertainment-focused consumption tablet, the PHAB Plus features a 6.8-inch full HD panel display with a crisp definition of 326ppi. Compatible with all HD content including photos, movies and games along with 32GB of memory, users now can hold a powerful multimedia experience in one hand. In-Plane Switching (IPS) technology also guarantees an ultra-wide viewing angle, significantly enhancing screen legibility and color vibrancy for watching videos and viewing social media content. Gamers aren’t forgotten with the PHAB Plus. The device’s Qualcomm Snapdragon® 615 octa-core chip with 2GB of memory takes responsive gaming to the next level, ensuring smooth functions and usability, boosting virtual experiences. In addition to its features, the PHAB Plus comes in an attractive form factor. The device is encased in an acclaimed uni-body design with round edges and polished buttons, crafted from durable yet lightweight aluminum material. It is available in three iconic colors including Gunmetal Grey, Titanium Silver and Champagne Gold. Lenovo’s PHAB series will also include a PHAB introductory model, offering a bigger HD screen at 6.98 inches. In addition to its unrivalled 4250mAh battery life, the device boasts a 360̊ Voice feature. Its three-microphone solution and dedicated voice processor ensure clean voice input and flawless on-speaker sound. Adding to its slew of features is 1GB of memory and octa-core Qualcomm processor, ensuring a responsive and smooth-running device. The PHAB is 8.9mm thin, 250g and features a color protective back which is available in Tuxedo Black, Polar White, Aqua Blue or Cherry Red. 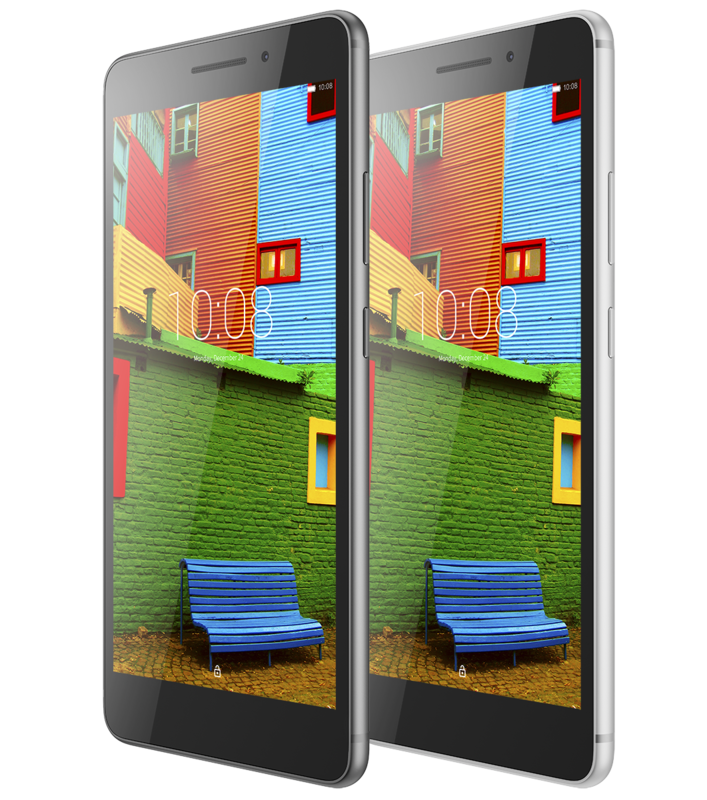 The Lenovo PHAB Plus and PHAB will be available from Lenovo in select countries in September at USD$299 and at USD $179, respectively.